 Welcome to the Southern Recipes Grill where home cooking is a tradition. Please look at our wonderful menu. We have daily lunch specials and Happy Hour everyday, but Sunday. We even serve breakfast on Saturdays and Sundays. When you come to visit, please make sure to check out our Viking Room. It’s a great place for your next celebration dinner or a large family meal. Reservations are available. Simply call or fill out our contact form for more information. If you’ve never visited, please come by. We promise you’ll have a great time with even greater food. If you have visited, then we look forward to seeing you again. Few things are as enjoyable as visiting old friends. Call 817-469-9878 for reservations or call-in orders. Hand battered fresh mushrooms served golden brown with ranch dressing. Eight mozzarella cheese sticks in a spicy crumb batter served with our spicy marinara sauce. Eight lightly battered jalapeños stuffed with cheddar cheese and lightly fried. Served with ranch dressing. Hand battered green beans, deep fried to crispy and served with ranch dressing. Lightly battered chicken deep fried to a golden brown. Served with cream gravy, honey mustard or barbecue sauce. Fried mushrooms, chicken tenders, fried cheese sticks and fried jalapeños. One dozen crispy wings basted in a spicy sauce and served with homemade ranch or blue cheese dressing. Large grilled tortilla filled with cheddar and mozzarella cheese, chives, diced tomatoes and served with sour cream, guacamole and homemade salsa. Hand battered sliced pickles deep fried to crispy and served with ranch dressing. Our entrees are served with a dinner salad or a cup of soup, two vegetables and rolls or cornbread. Fresh cut 6 oz. Ribeye, hand battered and spiced, then country fried and topped with cream gravy. Served blackened on request. Fresh ground beef spiced and cooked to order. Topped with sauteed mushrooms, onion and brown gravy. 10 oz. Ribeye Steak cooked to order. Served blackened on request. Two portk chops seasoned and cooked to perfection. Chicken breast seasoned and char-grilled to perfection. Served on a bed of seasoned rice. Lightly breaded chicken breast sauteed and topped with fresh mushrooms and white wine sauce. Dredged in Cajun seasonings, blackened Louisiana style, topped with white wine sauce and served on a bed of seasoned rice. Boneless chicken breast lightly seasoned and sauteed, topped with grilled tomatoes, avocados and white wine sauce. Lightly seasoned grilled chicken breast topped with hickory sauce, Canadian bacon and jack cheese. Chicken breast lighly seasoned and grilled with BBQ sauce, Jack cheese, bacon bits. Garnished with diced tomatoes and chives. Lightly battered an d deep fried strips of chicken breast served with honey mustard dressing or cream gravy. Hand battered breast of chicken lightly fried then topped with cream gravy. Hand battered and lightly fried chicken breast topped with sauteed mushrooms and melted Jack cheese. Served with white win sauce. Fresh salmon seasoned with lemon pepper and grilled. Served on rice and topped with white wine sauce. Fresh salmon dredged in Cajun seasonings and blackened. Served on rice and topped with white wine sauce. Fresh grilled salmon topped with shrimp and crab. Served on rice and topped with white wine sauce. Grilled with lemon pepper, served on rice and topped with white wine sauce. Grilled trout topped with shrimp and crab. Served on rice and topped with white wine sauce. Four strips of catfish lightly battered with corn meal and deep fried to a golden brown. Served with tartar sauce. 10 oz. Ribeye steak cooked to order with four deep fried Gulf shrimp and served with cocktail sauce. Four strips of catfish and four Jumbo shrimp deep fried to a golden brown. Lightly breaded and seasoned chicken breast sauteed and served over fettuccine with homemade Alfredo sauce. Served with soup or salad. Fettuccine topped with tender chicken breast dredged in Cajun spices and blackened Louisiana style, with homemade Alfredo sauces (substitute marinara sauce for Alfredo sauce on request). Fresh mushrooms, zucchini, carrots and broccoli mixed with fettuccine noodles, topped with Alfredo or marinara sauce. Our sandwiches are served on a toasted wheat bun with mayonnaise, crisp lettuce, tomato, red onion and pickles, unless noted otherwise. Served with choice of french fries, side of vegetable or cup of soup. A chicken breast lightly seasoned. Cooked to perfection. A hand battered chicken breast that is deep fried. Char-grilled chicken breast topped with hickory sauce, crisp strips of bacon and melted Swiss cheese. Grilled chicken breast topped with sauteed mushrooms and Swiss cheese. Char-grilled chicken breast basted with Cajun seasonings and Swiss cheese. Slices of turkey breast, ham, bacon, American and Swiss cheeses, tomatoes and lettuce on toasted wheat bread. Served on wheat toast with lettuce, tomato and mayonnaise. With Swiss cheese, bacon, lettuce and tomato. Served on toasted sour dough. Made with sliced beef or chicken and grilled mushrooms, onions and melted Swiss cheese on a hoagie bun (no garnish or dressing). Served with choices of french fries or one fresh vegetable or cup of soup. All of our burgers are 1/2 lb. of fresh ground beef, served on toasted white bun with light brown mustard, crisp lettuce, tomatoes, red onions and sliced pickles. We cook our burgers medium-well, unless specified. An old fashioned burger with melted American cheese. With crisp bacon and cheese. Fresh sauteed mushrooms and jack cheese. Beef patty basted with Cajun seasonings and topped with grilled onions and American cheese. Seasoned ground beef grilled and topped with sauteed onions and Swiss cheese, served on grilled rye bread. Sauteed mushrooms, Swiss cheese and crisp bacon. Fresh greens and vegetables, mozzarella, cheddar cheese, tomatoes, cucumbers, red onions. Served with a side of your choice of dressing. Fresh fillet of grilled salmon seasoned with lemon pepper. Served on a bed of lettuce with tomatoes, red onions, cucumber, cheddar and mozzarella cheeses. Ham, turkey, chopped bacon, mozzarella, cheddar, sliced over salad greens with tomatoes, cucumber and red onions. Mixed greens topped with bacon bits, tomatoes, avocados, blue cheese crumbles, cheddar cheese and grilled chicken. Served with your choice of dressing. All served with your choice of fries or one vegetable. Cheddar, Mozzarella and Swiss cheeses. Spinach, mushrooms, onions, bacon and mozzarella. Bacon, sausage, ham, onions, green pepper and cheddar cheese. Mushrooms, onions, spinach, broccoli, tomatoes, green peppers and mozzarella. Diced grilled chicken breast, onions, mushrooms, green peppers, cheddar and mozzarella cheese. with choice of ham, bacon or sausage patty. Two soft poached eggs served on an English muffin topped with hollandaise sauce. Served with your choice (choose one) of hash browns, grits or sliced tomatoes plus fruit. Both served with spinach, mushrooms and crisp bacon, hollandaise sauce. Served with your choice (choose one) of has browns, grits or sliced tomatoes plus fruit. Cheddar mozzarella cheese, bacon, chives, sausage and eggs folded into a flour tortilla and cut into six pieces. Served with hash browns or saute?d potatoes and a side of homemade salsa. Cheddar and mozzarella cheeses, mushrooms, onions, chives, tomatoes, spinach and eggs folded into a flour tortilla and cut into six pieces. Served with hash browns or saute?d potatoes and a side of homemade salsa. Char-grilled Chicken with Onion, Mushroom and Brown Gravy. on Rice with White Wine Sauce. Slow cooked with Vegetables and Brown Gravy. Chicken Breast marinated in Lemon Juice and Cilantro. Topped with Shrimp, Crab and White wine Sauce. on Rice and topped with White wine Sauce. Thing I love most about this place is that along with the home-cooking entrees, every meal comes with soup or salad and two sides. Typically you’ll find there’s some sort of up charge for a dinner salad, or an extra veggie, but not here. Came home and told hubby we’d be going back! Very friendly staff, great home cooked style meals that were more affordable than expected! I will definitely be coming back to this place! Can we reach out to you? Can we reach out to you?Yes.No.